Island and is bordered on its northern side by a protected archaeological district of some 230 acres. Feral goats can be found roaming the length of the course during the day. 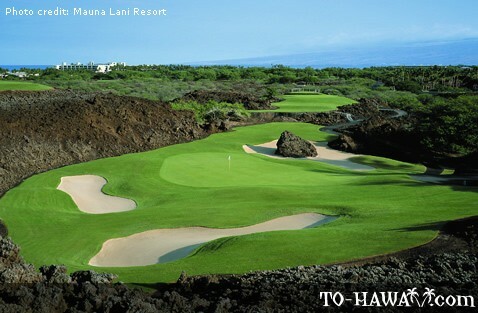 Built on a lava bed, the rolling terrain of the 18-hole, par-72 North Course is interspersed at various intervals by Kiawe (mesquite) forests that come into play at several holes. The course provides plenty challenge for players of all abilities. However, most holes have up to five different tee options, so this gives players plenty choice to counteract the course’s many challenges. North Course has its share of water hazards, with several adjoining the ocean. The course’s signature hole is the 140-yard 17th. This par-3 plays from an elevated tee downwards to a lava-surrounded green. Although the playing distance is short, it can be difficult to gauge because of the elevation. But this position does provide players with a good photo opportunity! 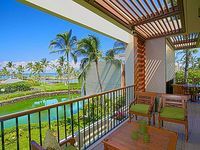 A comprehensive range of facilities awaits those who choose to use the North Course at Mauna Lani Resort. As well as golf carts and a club rental service, there are practice facilities with driving range and putting green. Lessons and clinics are available from the resort’s professionals for beginners and existing players in all aspects of the game. The pro shop offers a wide selection of golf-related merchandise, catering for almost every requirement. The Golf Clubhouse is the place to go for anyone in need of refreshments after a challenging round. 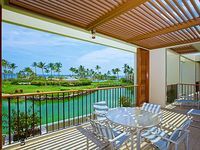 Aside from the Clubhouse, Mauna Lani resort offers several dining options, with the CanoeHouse being the resort’s signature restaurant. 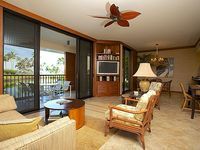 The resort also caters for meetings, weddings, and just about every type of event. D101 - Completely Renovated! Ground Floor Villa Walk to Beach! 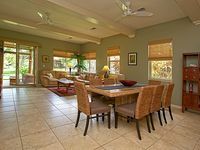 Fairways 1805- Spacious 3-Bdrm Family Vacation Home in the Heart of the Resort! 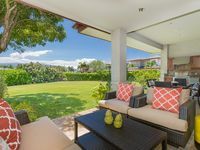 D303 - Top Floor Villa with Ocean Views and Large Covered Deck!